The City of New York is on a roll. But not the kind they like. After years of favorable treatment by the courts in the face of repeated discovery delays, it seems as though the appellate courts have had enough of they city’s dilatory tactics and refusal to obey court orders. In Elias v. City of New York, the Appellate Division (First Department) hit the city yesterday for $7,500 in sanctions. According to plaintiff’s counsel, Charles Gershbaum, the city blew through five different discovery orders in this personal injury matter. 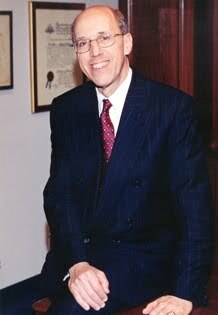 Rather than simply accept the lower court’s new order (a sixth order, to comply with five old ones), an exasperated Gershbaum took the matter up to the appellate court, on the legal theory that enough is enough. And the First Department responded by modifying the lower court order to smack down the city again. It was just three months ago that 18 of the 20 appellate judges of this same appellate court took the City’s Corporation Counsel, Michael Cardozo, to the woodshed. They called Cardozo “imperious” and “insulting” for having published a top 10 list of recommendations on how the courts could be made more efficient and asked that “Judges must be made more accountable.” He had a variety of “performance measures” in mind. Well, it seems that the appellate courts have performance measures in mind too, notably the lax performance of the City’s lawyers. The irony of Cardozo’s complaint was not lost on anyone. 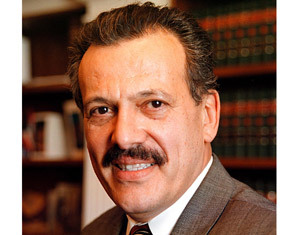 It was only one day after Cardozo tried to spank the judiciary last December that the Second Department hit back, with its decision in Byam v. City of New York where the city’s answer was struck due to “willful and contumacious conduct” that the court inferred “from their repeated failures, over an extended period of time, to comply with the discovery orders, together with the inadequate, inconsistent, and unsupported excuses for those failures to disclose,” for a case going back to 1997. A vast amount of inefficiency impeding the resolution of litigation is also created by the city’s oft-demonstrated cavalier attitude toward its discovery obligations. The city’s almost routine failure to timely and fully cooperate with its discovery obligations, even in the face of repeated court orders, is regularly confronted by city part judges attempting to solve the city’s intransigence. The lower court judges that handle the city parts, who hate to get reversed, are no doubt taking notice of the substantial change in tone from our appellate courts. In a stunning rebuke to NYC’s top lawyer, Michael Cardozo, 18 of the 20 justices that sit in the Appellate Division, First Department have taken him to the woodshed with a letter in the New York Law Journal coming out tomorrow (12/17/09). The response comes due to Cardozo’s attack on the state’s judiciary last week. Cardozo is now starting his third term as the city’s Corporation Counsel. The appellate court judges are responding to Cardozo’s December 7th column on improving efficiency in the courts, a subject I wrote about a few days ago when both bench and bar came down on him hard in NYC’s Top Lawyer Gets Reamed For Inefficiency (By Both Bench and Bar). The First Department hears cases from the Manhattan and Bronx courts. And the Second Department, which sanctioned the city just last week in Byam v. City of New York for a decade of delay in providing discovery, handles Queens, Brooklyn and Staten Island (as well as other downstate counties). In large measure, his facile proposals amount to an echo of reforms that are under way or have already been adopted by our former and current chief judges… Every one of these items has already been implemented by the Office of Court Administration, which on a constant basis compiles and circulates large amounts of information regarding judges’ job performance. The idea that complaints must be filed with the Judicial Conduct Commission in order to ensure accuracy in 60-day reporting requirements baselessly implies that there is actually a problem with inaccuracy, an implication for which Mr. Cardozo provides no support. In fact, it is ironic that the Corporation Counsel blames the courts for a failure to deal appropriately with litigation delays, since it is the office of Corporation Counsel of the City of New York that plays a significant role in causing those undue delays. For one thing, there is always a backlog of ready city cases in the dedicated city parts, and, with each part being assigned only two city attorneys, neither plaintiffs’ attorneys nor the trial judges have the means to ensure that ready cases can proceed immediately to trial; the city alone wields that authority. A vast amount of inefficiency impeding the resolution of litigation is also created by the city’s oft-demonstrated cavalier attitude toward its discovery obligations. The city’s almost routine failure to timely and fully cooperate with its discovery obligations, even in the face of repeated court orders, is regularly confronted by city part judges attempting to solve the city’s intransigence (see e.g., Lewis v. City of New York, 17 Misc. 3d 559 ). What followed then was a litany of First Department cases in which the sanction of attorneys fees was imposed on the city as a result of its “inexcusably lax” responses to discovery orders. [A]s a rule, our courts give far more leeway to the city than we typically do to other defendants in civil actions. Cardozo isn’t having a very good holiday season. In fact, having so many judges angry at him, I’m thinking this will be his last holiday season in his office. The Corporation Counsel has 650 attorneys working for it, and handles a wide range of legal issues on behalf of the city. Background here on Cardozo as he prepared to start his third term. You just don’t often see a city’s top lawyer get shot down so hard and so fast as we did here in New York this week. Shortly after writing a column for the New York Law Journal on inefficiencies in the court system, an appellate court struck the city’s answer in a case they were defending. The court’s extraordinary action was taken due to a decade of delay by the city’s law department in furnishing documents to the plaintiff. This was followed by a blistering letter in the paper from two of this town’s top personal injury attorneys regarding more inefficiencies by the city. It started Monday, December 7th, when city Corporation Counsel Michael Cardozo published his version of a “Top 10” list related to court reform. The column focused its attention on our underpaid judiciary, lambasting them with a screed focusing on a lack of efficiency from the bench with respect to motions and trials. He suggested performance goals for the judges, focused on delayed decision making, more status reports from the judges, more evaluations of judges and moving judges to understaffed parts. Response was swift, perhaps swifter than he ever imagined, and is an instant classic with respect to throwing stones from a glass house. And Cardozo was trying to call the judiciary inefficient? That was followed yesterday, December 10th, with a letter in the New York Law Journal that eviscerated Cardozo and his office. The letter, by Marc Dittenhoefer and Helene Blank (both well-known and well-respected among bench and bar) is reprinted here with their permission, in its entirety. While one may believe that Dittenhofer and Blank have taken great risks by having this letter published, given the substantial amount of work they do where the city is the defendant and the risk of pay-back from that office, I agree with them that such inefficiencies must be disclosed. The idea of the city’s top lawyer throwing stones at the judiciary while he can’t clean up his own house is one that can not be ignored. is designed to hamper, delay, sidetrack and stop the smooth and efficient progress of any lawsuit in which the city is involved. Instead, what we read was no less than a thinly veiled assault on our hard working judges and another plea for “merit selection” over election. Mr. Cardozo would prefer that his boss have the ability to appoint all the members of the bench who will then preside over the cases that he litigates. Fortunately, that is unlikely to happen. The U.S. Supreme Court has spoken and no matter how imperfect our system is, it is in our minds preferable to one person selecting the man or woman who will ultimately decide a client’s fate. We have seen both the good and bad in both systems and no one who practices daily in our courts believes that merit selection is only done on the merits. We were disappointed that Mr. Cardozo didn’t take the time to inform the bench and the bar of what changes he is going to make in his third term to improve his own house. Because no matter how he views Office of Court Administration, at the beginning and end of the day the elected judges are accountable to the people who elected them, but his office is accountable directly to him. We speak from experience as plaintiff’s attorneys, defendant’s attorneys and court appointed fiduciaries. Ask any judge how easy it is to get the city to comply with a court order. While without question there have been great strides at the city’s law department to operate more efficiently, it is still impossible to obtain even the most prosaic information from the city’s counsel in the course of legitimate litigation including the names of city contractors who are responsible to both the plaintiff and the city, due to the deliberate, arcane and byzantine methods it uses to catalogue same, apparently designed to frustrate identification and retrieval. The inordinate delay caused by the city’s presence in a case prompts plaintiff’s counsel to do anything to avoid having to sue the city, which might very well have been the plan in the first instance. Yet, however satisfying such a misdirection might be to the winning hand, such is hardly the proper way for a city to treat its citizenry. And this is not yet to mention the eve of trial witness revelations that happen constantly. Perhaps Mr. Cardozo, who in his article talks about removing matters from the courts, can explain why the city will not participate as a litigant in mediation let alone arbitration. Is there a 60-day reporting system for his attorneys? Are they being held accountable for failing to comply with court orders and for the repercussions that follow? Are his attorneys being evaluated on their performances? Or does he just accept as we are told to accept that the volume of cases, lack of sufficient staffing and budgetary constraints make it impossible to be better than they are? We were offended by Mr. Cardozo’s article, offended for the judges who confront unmanageable caseloads, insufficient staffing, unreal expectations from OCA and Mr. Cardozo, and who suffer from low morale because they haven’t had a pay increase in more than a decade. We were also offended because the article was written by the three-term Corporation Counsel whose own house needs serious re-ordering. Since Mr. Cardozo has the ability to impact the way his office operates, we sincerely hope his third term is spent getting his own office better prepared. Perhaps if that’s done, just once, when a litigant asks for the information to which s/he is entitled, they can get it so they might avoid litigation and not have to sue the city to keep the statute of limitations from running out. That would be a great thing to accomplish indeed. Full disclosure: I know both Blank and Dittenhoefer and frequently litigate against the city’s Corporation Counsel.